The IMF has provided a three-year financial arrangement of about $434.3 million to support Mongolia’s economic reform programme, with other financial partners such as the Asian Development Bank, the World Bank, Japan and South Korea also providing back-up. Mongolia grew at a double-digit annual rate over 2011-2013 as foreign investors rushed in to take advantage of its vast untapped mineral deposits. But clashes with investors, government overspending and declining commodity export revenues slowed growth to 1 percent last year and tipped the country into an economic crisis. “This is one of the biggest programmes in IMF history in terms of countries’ GDPs,” said Neil Saker, IMF’s Mongolia representative, at a press briefing in Ulaanbaatar. “The absolutely critical objective is to break the boom-bust cycle seen in Mongolia in the last 15 years,” he added. Mongolian finance minister Battogtokh Choijilsuren said the package was designed to stabilise the economy, impose fiscal discipline and boost competitiveness, adding that Mongolia would aim to bring its budget deficit to under 2 percent of its gross domestic product by 2021, down from 17 percent now. The deal will enable Mongolia to swap $550 million in debt held by the Development Bank of Mongolia for new sovereign bonds worth $600 million due in 2024. It also included a three-year extension to a 15 billion yuan (1.7 billion pounds) swap agreement with the People’s Bank of China. The formal confirmation of the package, first proposed in February, was delayed from last month amid concerns about a controversial clause in Mongolia’s legislation that forced “strategically important” mines, such as the Oyu Tolgoi copper-gold mine run by Rio Tinto, to conduct transactions through local banks. The government has subsequently annulled the banking requirement in order to push the IMF deal through. Mongolia has agreed to cut spending, raise taxes and the retirement age, while pledging to maintain a flexible exchange rate and build a stronger regulatory environment for banking and finance. 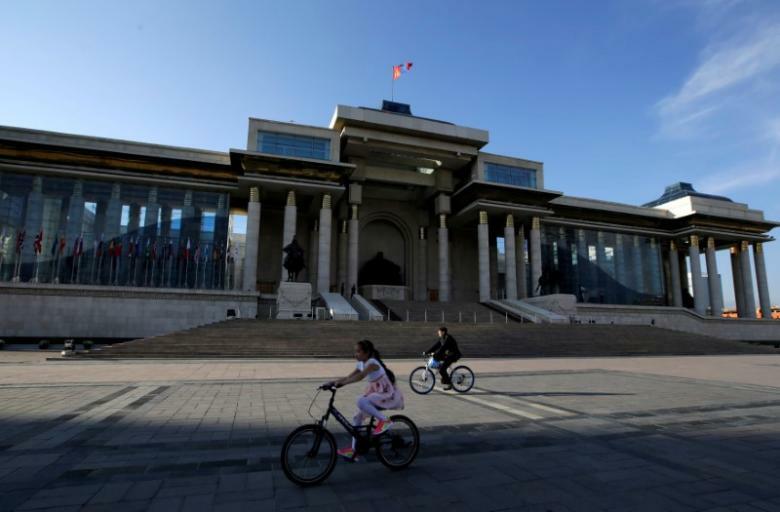 Candidates running in next month’s presidential elections may try to make political capital out of the painful austerity measures introduced by the ruling Mongolian People’s Party (MPP), which is fielding Miyeegombo Enkhbhold, currently parliamentary speaker. Businessman and former martial artist Khaltmaa Battulga is contesting the vote on behalf of the main opposition Democratic Party, while the Mongolian People’s Revolutionary Party has nominated former independent Sainkhuu Ganbaatar. Both challengers have gained popularity partly through their resource-nationalist rhetoric and their suspicion of foreign investors.